​How did you come up with the idea of Jack Stalwart? ​I love to travel and thought it would be fun to write a children's book series where the main character got to travel the world. What better way to do that than as a secret agent! Where do you find inspiration for each Jack Stalwart story? Whenever I sit down to write a new Jack Stalwart story, I crack open an Atlas and take a look at the map of the world. I think about where I might like to travel to and where I would like to send Jack. Then, I think about the important people, places and possessions in those places and ask myself whether a mission could be created from them. Once I have the setting and the mission, the story starts to write itself. ​What's your favorite Jack Stalwart book? ​How do you come up with character names? I try to create names that are meaningful and memorable. Jack's surname, 'Stalwart', means 'dependable' and 'trustworthy'. Madame Midori (the villain from the Japan story) got her name from the green eye shadow that she wears. ('Midori' is 'green' in Japanese). Treasure hunter Callous Carl (from the Mexico story) was hard-hearted and had rough hands so he deserved to be called 'callous'. ​Have you been to all of the places that you've written about? I have traveled to New York, France, England, Cambodia, Japan, Australia, Italy, Mexico and Kenya. But I had to do research and use my imagination for China, Russia, the Arctic, Nepal and Egypt. I think the series resonates well with boys because it contains a lot of action, adventure and suspense. It’s also written in a style that is straight forward and to the point. That being said, I get quite a few emails and letters from girls who enjoy the series too. I also get letters from parents of children with dyslexia and ADHD who have found the simple language and larger font sizes of the Jack Stalwart series helpful. ​How old were you when you started writing books? I was 34 years old when I wrote the first Jack Stalwart book, although creative writing was one of my favorite classes as a child. When I was 9, I wrote a book called The Girl Who Wanted a Horse ... because I did! 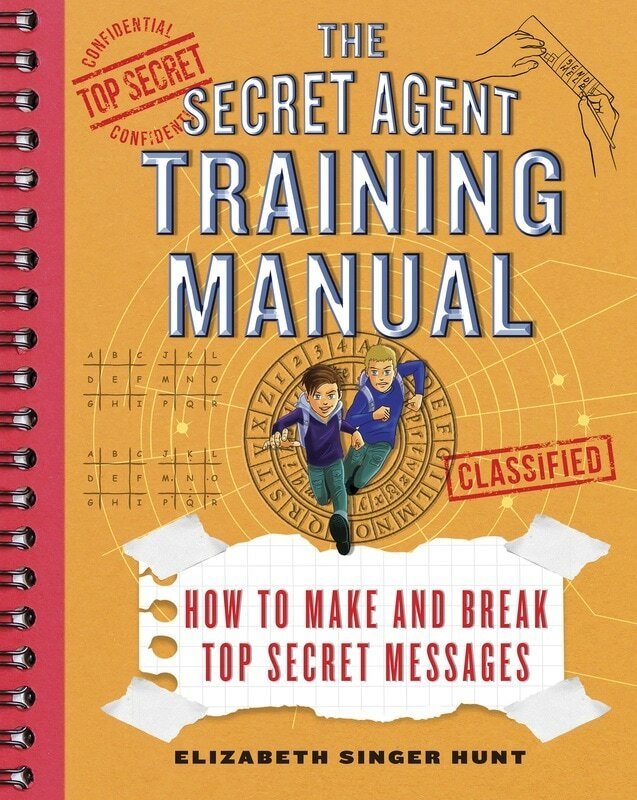 Did the Jack Stalwart series inspire the Secret Agent Training Manual series? Over the years, Jack and I have received thousands of letters from children asking how they can become a secret agent like Jack. So I thought it would be fun to create a series that introduced them to basic secret agent/ spy skills. Code-breaking seemed a natural place to start! The first book in the series is called How to Make and Break Top Secret Messages. Subsequent books will discuss basic spy craft and the history of intelligence gathering. What is the best and worst part of being a writer? The best part is knowing that I have created a meaningful and relatable character for children. It tickles me to see the letters that children send to Jack via the www.jackstalwart.com website. They love him, trust him and want to be like him. My hope is that when these children are older, they will remember Jack fondly. Some might even decide to follow in his footsteps and work for an organization that saves the world’s most precious people, places and possessions. Honestly, there are no worsts in being a writer. Unless you count writer’s block! That’s a very good question as I have very little of it! I am a full-time wife and mother with two children and a rambunctious rescue dog. Besides being at home with my family, I love to hike, swim, travel and go to the movies! I also like to learn new languages and have been studying how to speak and read Thai off and on for more than ten years. You originally self-published the Jack Stalwart series. What advice would you give to others wanting to take the same path? First, you should research the marketplace to see whether a book idea like yours already exists. For example, if you’re writing a time travel book, you should make sure that the premise of yours is unique. Second, you should also ask many people to read your book and provide both positive and negative feedback. These readers should be from your target reader group. If you’re writing a children’s book, your old Aunt Sally is NOT your target reader! Sometimes the criticisms are hard to take, but they are important. You’ll be spending a lot of time and money developing and printing your self-published book and you want to make sure that it will sell. What's next for Elizabeth Singer Hunt? 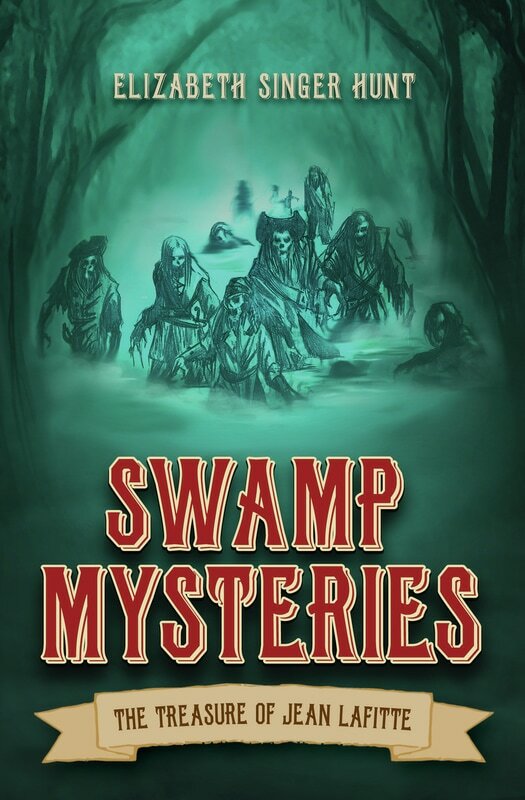 I’ve recently published a middle grade book called Swamp Mysteries: The Treasure of Jean Lafitte. The story chronicles the adventures of four 12-year-old friends as they solve paranormal (i.e. ghost!) mysteries in the swamps and bayous of Louisiana. It’s a bit like Scooby-Doo with a southern twist! In addition to Swamp Mysteries, I've just finished the first four books in the new Secret Agents Jack and Max Stalwart series. Books 1 and 2 are already out. Books 3 and 4 are launching in March 2019.